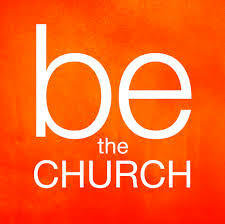 In my last post, I began by delineating the difference between a church and the church. By way of review, since the term “church” is used to mean a specific kind of assembly or—as Jesus alludes to in Matthew 16:18—a specific kind of people (i.e. called out), the question must be asked, “What does it means to be a ‘called out one?’” Is it simply the gathering that’s being addressed here or a specific kind of people who make up the gathering? To answer that, we have to take a trip to the book of Romans. Speaking of “the called out” here, Paul makes it clear that God has in mind a people that are being conformed to the image of the Son and Savior, Jesus Christ. He’s not just talking about a general assembly of people. Nor is He talking about an assembly of people who profess to be Christians. He’s talking specifically about those being conformed to the image of the Son of God. Second, teaching people “Don’t go to church, be the church” means the teacher must replace the Bible’s own meaning of “church” (i.e., “assembly”). I’ve established that church doesn’t mean an assembly. It means a specific kind of assembly made up of a specific kind of people who act a specific kind of way. This statement is simply wrong and untenable when we look etymologically at the word “church” at its root and basic meaning from the original Greek. Third, it goes against Scripture. When Paul wrote to the Corinthian Christians in 1 Corinthians 11:18, his words mean that when the Corinthian Christians woke up Sunday morning, they weren’t the church. They only became the church when they went to church. not the place of worship; for Isidore of Pelusium denies that there were such places specially set apart for worship in the apostles’ times. But, “in the assembly” or “congregation”; in convocation for worship, where especially love, order, and harmony should prevail (my emphasis). The last portion of that gives a hint as to what kind of assembly this would be. But like as he who called you is holy, be ye yourselves also holy in all manner of living; Because it is written, Be ye holy; for I am holy. (1 Peter 1:15-16). So, the church is not just an assembly. The church is the called out ones. We are called to be holy, loving, righteous, sanctified, meek, light, salt, faithful, sacrificial, and a plethora of other things. This is what it means to be the people of God in the age of the Gentiles, to be the called out ones. In short, to be the church.